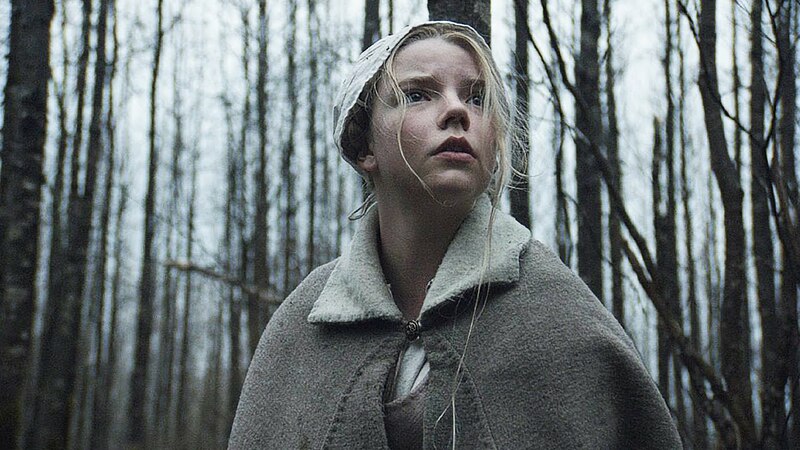 Already riding an unimaginable wave of praise and hype, The Witch sees debut director Robert Eggers reach back in time to the 17th century, using accounts and literature from the time to create an unnerving snapshot of what unwavering Puritan belief would push society to. Heralding itself as A New England Folktale, the movie follows a family who are excommunicated from their planation after father William (Ralph Ineson) is charged with the crime of ‘prideful conceit’. Settling on a the edge of a large forest, the family’s life is happy and content until new born Samuel is snatched from underneath the nose of eldest daughter Thomasin (Anya Taylor-Joy), perhaps by an evil force, which sets in motion a chain of events that begins to tear their lives apart. While it is fair to classify The Witch as a horror movie, audiences should be warned that this really isn't they’re used to, foregoing any jump scares or the genre’s well worn tropes to create something entirely different and wholly its own. The Witch isn’t in your face like other, more famous examples of the genre, it won’t deliver instant gratification or scream inducing shocks. Instead, it just wants to get under your skin, and is content on keeping the viewer in the dark, and letting their own uncertainty help that sense of dread build inside them. Sure, early on we see an unnatural force doing unspeakable things to baby Samuel, but Eggers soon changes tack, making you question whether everything is happening because there is actually something evil lurking in the woods or the family’s isolation and devout belief in God. It’s all about the tone, and Eggers nurtures it with an expert hand that belies the fact that this is his directorial effort. The score, a cacophony of ominous choirs and erratic strings, will burrow its way into your soul and make you feel uneasy just thinking about it, and Jarin Blaschke’s gorgeous cinematography is just another piece of the puzzle in what makes The Witch work so well. The final piece is the setting itself. The historical detail is second to none, from the manner of dress to the ornate way of speaking, and no stone is left unturned in exploiting the movie’s time period to its fullest. And almost immediately, the audience is taken off guard. We’re not used to this world, it’s beliefs and customs, so that’s where the seeds of unease are sown. The cast throw themselves into their roles, embracing the period accurate script with both arms. Ineson and Kate Dickie (threading similar ground here as she did as Lyssa Arryn in Game of Thrones) shine as the father and mother, expertly selling their mutual decent into madness, with Dickie giving it her all in the movie’s final scenes. Much of the movie falls on Taylor-Joy’s young shoulders, and she handles it well, convincing as the sole voice of reason. Which makes her role in the finale feel that more unearned. It’s a minor niggle, but the ending doesn’t ring entirely true, and is the only time The Witch feels predictable. But thankfully is doesn’t take away from the rest of the movie. A rich, superbly crafted psychological horror, The Witch is a masterful debut from Eggers, unlike any recent entry in the horror genre, and even more refreshing because of it.